BioWare's extended ending sequences for Mass Effect 3, which are looking to give players a little more closure on the series, will feature lines from at least three of the franchise's main voice actors. 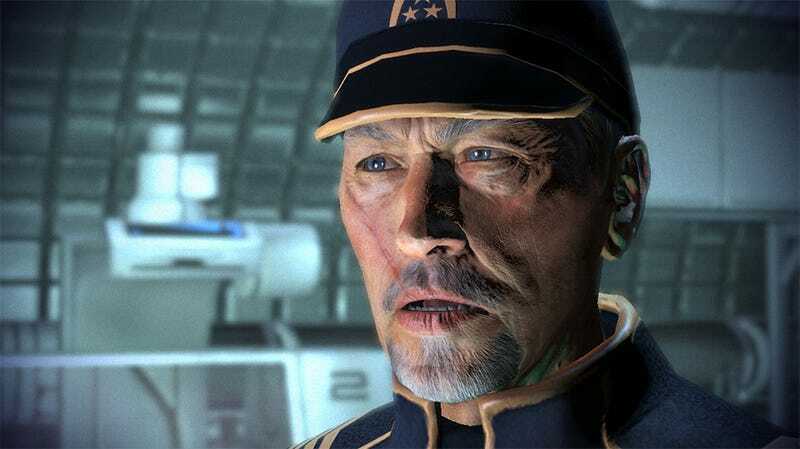 Lance Henrisken (Admiral Hackett), Tricia Helfer (EDI) and Raphael Sbarge (Kaidan) have all confirmed they've been back in the recording booth, which suggests - given the nature of Kaidan's potential survival - that Kimberley Brooks (Ashley) will be there as well. "I just did another session with them...They were saying there's a little bit of a problem with the abruptness of the ending," Henriksen told G4. "So we did a whole series of things to add to the end of the game, to live up to the quality they've been doing." "Usually, when a guy loses the game, the game shuts down; it's over. It's done. The players don't like that."